Emily utilizes cognitive behavioral therapy with her clients with a person centered focus. She incorporates mindfulness into her therapy to allow others to experience fully all the things life has to offer. Being more engaged in the present moment can lead to a richer experience of the things that might otherwise pass us by while we are wrapped up in thoughts about the past or relentlessly thinking about what we are doing next. For example noticing the leaves dancing on a tree, a bird soaring in the wind, the smell of new blossom, the color of the sky or the smile on the face of someone as they pass by. 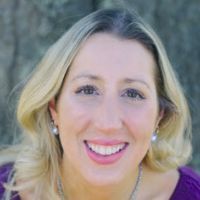 Emily Diaz is a Licensed Professional Counselor Supervisor (LPC #S7097) with the North Carolina Board of Licensed Professional Counselors since 2008 and has held the supervisory credential since 2013. Emily is also licensed in the state of Virginia (LPC # 0701007095). She is certified in Animal-Assisted Therapy through Harcum College and Pet Partners. She is a National Board Certified School Counselor. Emily received her Bachelor of Science at James Madison University in 2002 and her Masters of Science at Radford University in 2004. Emily was a teacher for 3 years then school counselor for 5 years when she decided she wanted to help others with a clinical focus. In 2011, she started providing individuals, families, and couples psychotherapy, which is her passion to help others realize their full potential using mindfulness training and stress reduction. Emily Diaz and I have been using BetterHelp to work out my issues for about two months now. She always reads carefully what I have to say, and provides substantive feedback and useful, practical advice. It is clear she puts a lot of thought and effort into her replies. I can't fault her. She is far better than some therapists I have seen in person, and this system of written communication at BetterHelp suits me well. Would you like to write a review for Emily Diaz? We'd appreciate if you can spend a couple of minutes to write a short review for Emily Diaz (LPC). This review would be shared with Emily Diaz. It may also be posted in our website or in Emily Diaz's profile but it would be anonymous and your identity would be kept completely confidential.